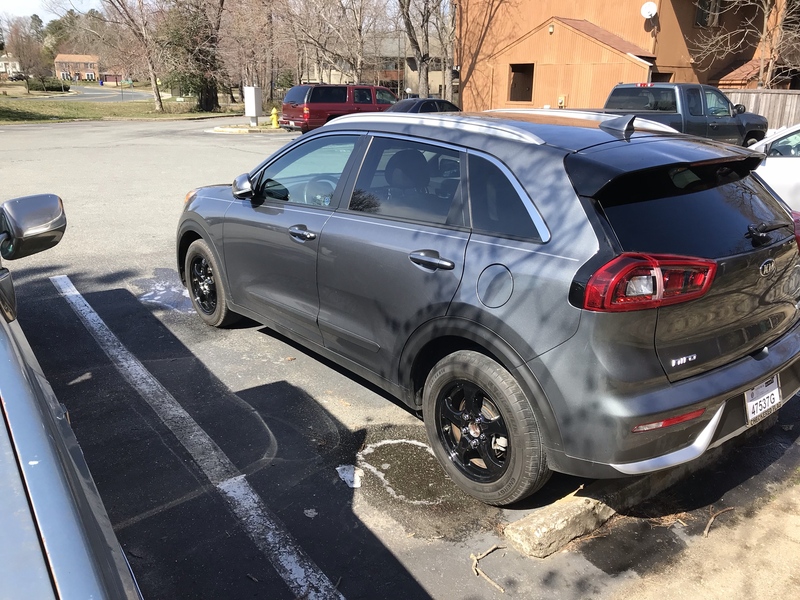 Kia Niro Forum > 2017+ Kia Niro Ownership Lounge Area > What Did You Do To Your Kia Niro Today? > What Did You Do To Your Kia Niro Today? Better yet, I drove my Niro home after work. Yes, I work nights. It was only a 15 mile trip, stopping for some groceries we needed. Took the wheel covers off and I'll rock the 5 spokes for a while to see if I like them. Did you have any issues with the back dome light bulb not working with a LED replacement bulb? I tried 2 different style LED bulbs and neither would light up. I know the fixture is ok as the OEM bulb works fine. I replaced the front map lights and the rear license plate lights with LED and they are great. I had read somewhere that some vehicles may have issue with LED because of sensors built into the system to detect bulb outages and such.